"Watch TV? 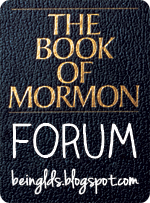 But Mom, I wanna read the Book of Mormon! ": Mosiah 4:16-27 Are We not All Beggars? Mosiah 4:16-27 Are We not All Beggars? Discussion: If someone on the street asks you for money, should you give it to them? If you don't, do you have great cause to repent? Do you have enough money to give to every person that is begging for it? Do you know that your $5 is not going to be wasted on alcohol or cigarettes or some other frivolous item? If you donated that same $5 to a reputable charitable organization, how likely is it that your $5 will be wasted? We shouldn't judge that guy holding the "Need money" sign on the street will use it for booze. But we can't judge him that he won't, either. Is your $5 not better used with a reputable charitable organization? I doubt that King Benjamin had The Church of Jesus Christ of Latter-Day Saints Humanitarian Department, or the United Way, or the American Red Cross, or the American Kidney Foundation, or any of hundreds of other reputable charities where you know your $5 will not be wasted. If you still feel guilty passing the beggar on the street, try this: Offer to meet him at the nearest restaurant or store and buy him lunch. If he refuses, without judging you know that it was not food that he wanted to use the money for. If he accepts, you know your money is not being wasted.